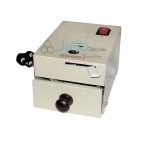 Jlab is renowned Needle Destroyers Manufacturer, Needle Destroyers Suppliers, Needle Destroyers Exporter, Hospital Surgical Equipments, Needle Destroyers India. 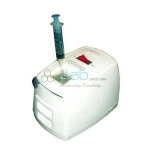 We engaged in manufacturer and exporter a good vary of Needle Destroyer or Syringe Destroyer. We have a tendency to use trendy technologies and machineries for the method of producing these destroyers. Our merchandise area unit considerably featured to be power saving and maintenance free. 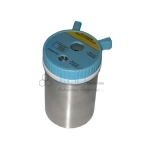 These destroyers plays very important role in hospitals within the method destroying used and contaminated syringes and needles, that avoids infection. To Terminate Needles, insert used needle fully into small insert used needle fully into small orifice and hold squeeze handles with a fast squeezing action until needle is cut. 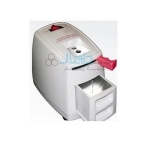 Needle Syringe Destroyer with 3 in 1 operation in single body. Burning of needle cutting of syringes and manual cutting of needle are also provided in case of electricity failure.